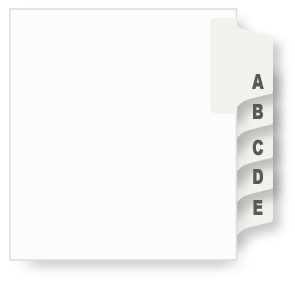 Description: A-Z Set, side tab, 1/26 Cut. 80# white paper stock with clear rip-proof reinforced tabs. Tabs are printed on both sides. Binding edge is unpunched so indexes can fit any binding system. Franklin Mills dividers are Made in the USA.